Shopping for shoes online is easier now than it has ever been before. Whether you're looking for a one-stop e-commerce resource for all of your footwear shopping needs or if you're looking for specialty sites where you can find great deals on designer shoes or low-cost trendy styles, there are a number of resources available to you. If you're looking for a one-stop shopping resource where you can find all types of shoes, you can't go wrong with one of these online shoe superstore options. No matter what occasion or season you need shoes for - from dress-up occasions to athletic shoes - these sites are sure to carry an extensive selection and numerous sizes for adults and children alike. 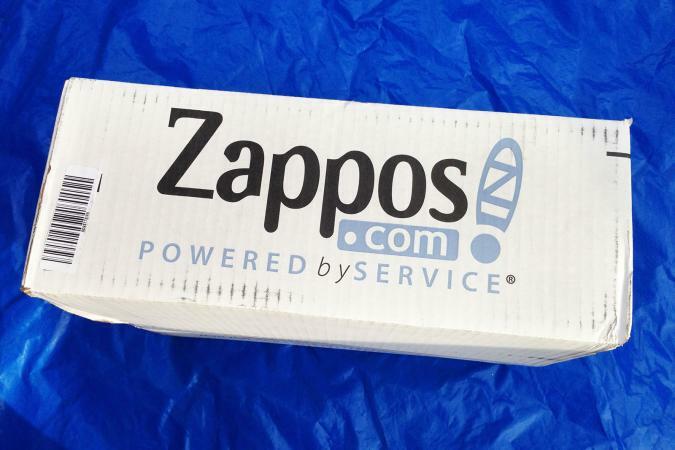 If you're a true shoe addict, then you'll already know Zappos. Shoe collections are arranged by both "lifestyle" and department. You'll find a wide range of brands for men, women and children, including well-known names and their less expensive counterparts. In addition to lifestyle, you can shop by brand or type. You can also limit your search to meet specific needs such as sale prices, wide or narrow widths, or "vegetarian" (non-leather) shoes. One of the best aspects about shopping at Zappos is that shipping is always free, for both purchases and returns. If you buy a pair of shoes that doesn't work, you won't be out of any money if you have to return your purchase. No matter what type of shoe you're looking for, there's a good chance you can find it at Off Broadway Shoes. This site has men's, women's, and kids' styles at reasonable prices. Free shipping is available on orders that come to $50.00 and up. Get everything from Nike sneakers to Steve Madden boots, often at lower prices than you would pay in another store. Shop by type, brand, or just go straight to the trends section. Earn rewards like $15.00 back for each $200.00 spent, special coupons, a $10.00 birthday coupon, and more. ShoeBuy.com promotes itself as "the world's largest site for shoes." The site certainly features an extensive selection of shoes for women, men, and children in a variety of styles with price ranges appropriate for every budget. ShoeBuy.com offers free shipping on purchases and returns, as well as a 100% price guarantee. 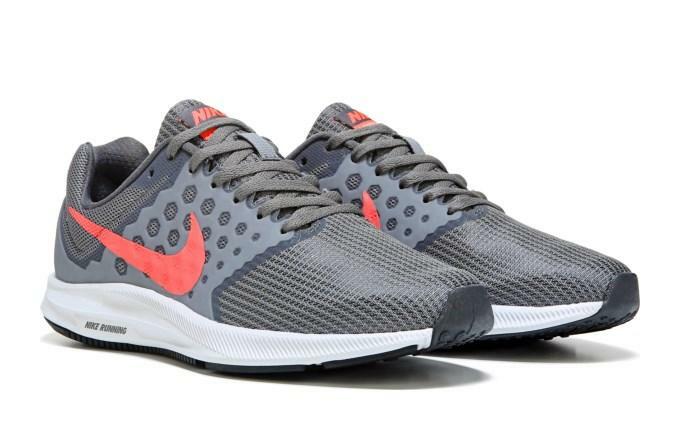 The price guarantee provides customers who find lower prices on identical shoes within 10 days of purchase with a refund of the difference between the lower price and the ShoeBuy.com price. If you're looking for another great online shopping resource where you can find shoes for each member of your family, Famous Footwear is an excellent option. The company offers a full e-commerce store, as well as a number of physical locations throughout the U.S. 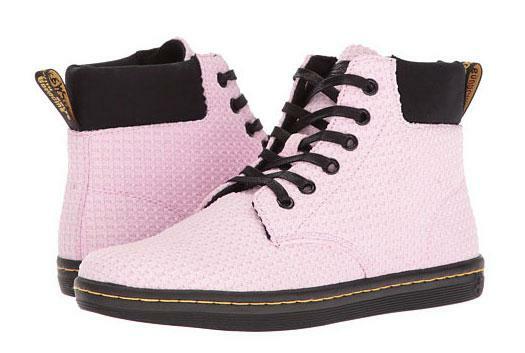 Whether you're looking for shoes for school, work, casual play, or dress-up occasions, you're sure to be impressed with this retailer's extensive selection. There is a charge for shipping, though Gold Rewards members do receive free standard shipping. As an alternative, you can reserve the shoes you want online, then pick them up at a store in your area. Customers are responsible for paying shipping for returns, though it is possible to return online purchases at a store if you wish to avoid paying for shipping. 6pm has a good mix of styles at very reasonable prices. When you hover the cursor over the Shoes tab, you'll see that they're divided into men's, women's, boys', and girls' shoes. From there, the women's and men's are further divided into types (boots, sneakers & athletic shoes, etc). There's even a Juniors section, which you'll see once you click for women's shoes. You get free shipping when you buy two or more items or spend $50.00. Shoe Carnival carries a wide range of styles and brands, and frequent sales throughout the year allow you to save money if you're able to plan your purchases well in advance. You'll find names like Nike, Nine West, Converse, Asics, Crocs, Sperry, Madden Girl, Skechers, and more. Whether you're looking for cute boots, work shoes, flip-flops, or athletic shoes, they're worth checking out. Once you get to the site, you'll see that the shoes are divided first by section (women's, men's, boys, and girls), and then by type or style. You can also check them out by brand, what's on sale, or what's trending. Abbadabba's carries brands like Birkenstock, Teva, Chaco, Dansko, Dr. Martens, and more. If you're looking for shoes known for their comfort, quality (especially for those with foot problems), or ability to perform well outdoors, this is a wonderful place to shop. Shop by category, brand, use, or what's hot. If you spend over $100.00, you'll get free shipping. Need to return them? Online orders are eligible for free return shipping. You'll just need to contact them and print a shipping label. If you have a passion for designer labels, but prefer to avoid paying top dollar for the name brands you love, you're sure to find one of these discount designer shoe resources to be a great online shopping option. When you're in the market for bargain prices on shoes from your famous name-brand designers, check out the Designer Shoe Warehouse (DSW) website. You can save money on your favorite styles from top designers such as Fergalicious, Guess, Bandolino, and more. Styles for women, men, and children are available. While savings vary from one style to another, you can see both the suggested retail price and the Designer Shoe Warehouse price while browsing the site or shopping at a physical store location. This helpful feature lets you keep track of just how much you are saving when you shop the site. Not only is shipping free on orders of at least $35.00, but the savings over department store and boutique prices can result in great bargains overall. The DSW rewards program makes it possible for frequent shoppers to earn discounts on future purchases. Bluefly is a great online resource for finding deeply discounted prices on high-end designer shoes for women. If you're looking to pay less than retail for fashionable ladies' shoes from designers like Jimmy Choo, Prada, Christian Louboutin, Yves Saint Laurent, and many others, you'll be delighted with the selection on this site. For each style, the site shows the suggested retail price so that you can easily compare the Bluefly price to what you'd expect to pay elsewhere. Standard shipping is free on all orders within the continental United States. If you're in the market for high-end designer footwear, this site is an excellent resource. If you're looking for trendy styles at affordable prices or closeouts on name brand shoes, one (or both!) of these options is sure to appeal to you. When it comes to affordable, stylish shoes, it's hard to beat Payless. 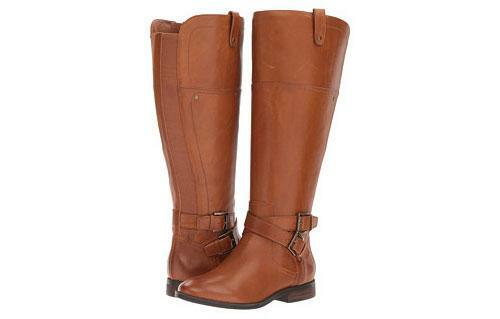 While shoes from Payless don't carry fancy designer labels, they are not short on style. Whether you're looking for classic styles, the latest trends, or even dress shoes for a special occasion, you'll find budget-friendly choices for every member of your family on the Payless e-commerce site. Free shipping on qualifying orders and site-to-store shipping allow you to order the shoes you want online and pick them up at your local Payless for free. Shoedazzle makes shopping for shoes even more fun. You work with a stylist after you take a quiz to find your personal style. Check out as a basic customer or sign up for the VIP program that will encourage you to shop each month but give you better discounts (free shipping, 25 percent off retail, and exclusive member sales and events). The VIP option will automatically charge your card on file around $40.00 each month unless you tell them to skip that month. You have to let them know by the fifth of the month or you'll be charged. If you're charged and don't want or need any new shoes at the time, you can save up your credits for later. When you sign up as a VIP, you get half off your first item. If you shop as a basic customer, you're not tied to the monthly charge and just shop when the mood strikes. There's no obligation to skip months and no additional charges once your purchase is made. If you're looking for hiking boots or other specialty outdoor shoes, you may find that it's best to shop directly with the brand that you're interested in rather than a more general shoe warehouse. It's a fact that Merrell is one of the most widely recognized names in outdoor footwear for men, women, and children. Go directly to the source to find the best selection of styles, including some items that you may not be able to find in stores. Standard shipping is free on all orders, but if you spend $49.00 or more, you'll be upgraded to free express shipping. Returns are free within 45 days. While Teva is most widely recognized for its outdoor-friendly sandals, the brand provides a full line of outdoor footwear. Whether you're looking for water shoes, hiking boots, or shoes for any other outdoor activity, be sure to see what Teva has to offer. Shipping is free on purchases and returns. Buying shoes online is quick, easy, and mostly stress-free. However, it's important to keep in mind that there's always a chance that your shoes won't fit or that you won't be completely happy with the quality, shade, style, or feel. Make sure that you clearly understand the return policy of any online shoe store you are considering buying from before finalizing your purchase. That way, you'll know the exact time frame you have to decide whether or not to keep your new shoes, as well as whether or not you'll be responsible for covering the cost of shipping if you have to send your purchase back.